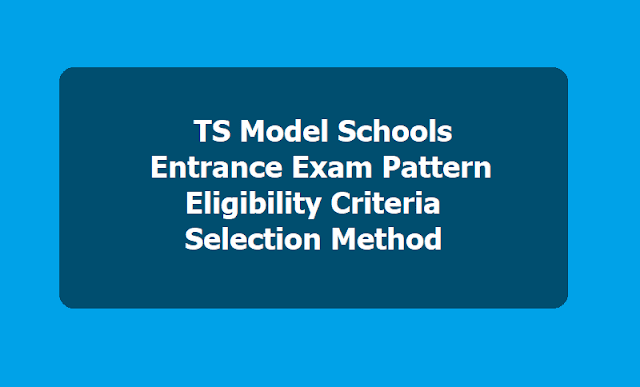 TS students who wish to take admissions in the Telangana Model Schools, they should write TS Model School Entrance Test get qualified for admissions. TS Model School entrance test notification 2018 has been issued by the Commissioner and School Education Department officials for admission into VI/VII/VIII/IX/X class in Model Schools in Telangana and the applications are invited from eligible candidates through online mode for appearing the 6th/7th/8th/9th/10th Class TS Model School Admission Test 2019, which will be conducted as per their schedule. 1. 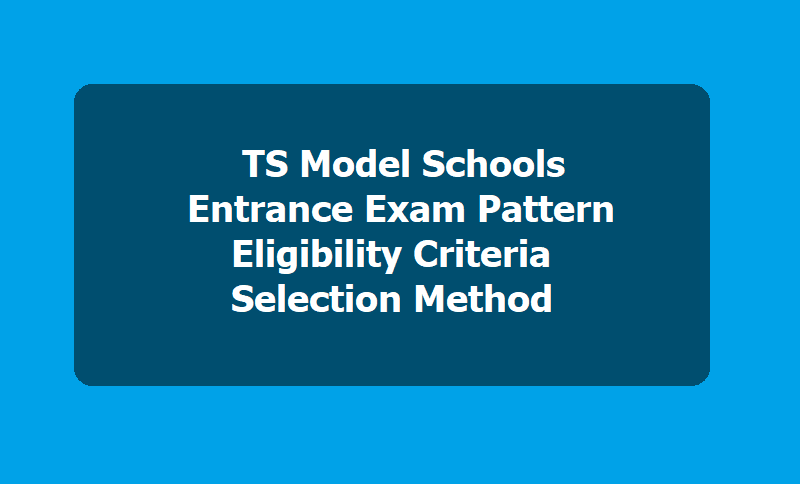 The Students, those who were passed 5th/6th/7th/8th/9th class are eligible for applying for 6th/7th/8th/9th/10 class TSMS Model Schools Entrance Test into model schools and these admissions made into English medium. 3. The student should have studied continuously in the respective district for the two academic years (2015-16 and 2016-17) in a Government school or in a school recognized by the Government. 4. Parental Income should not exceed Rupees One Lakh per annum. 5. The candidates can apply to any Telangana Model School of the district for which he / she belongs. The Entrance test will be of objective type and multiple choice questions from Class 5th/6th/7th/8th/9th and the Question Paper have Four Parts. The total marks for the test are 100 and duration of 2.00 hours. Admission shall be done as per the procedure followed by TSREIS. While doing this, the candidates from the same Mandal where Model School is functioning, will be given preference. Admissions will be done on the basis of a written test/ entrance test.